Steve Carell has been focusing on his movie career ever since he left the cast of The Office and it looks like 2013 should be his boom year. In addition to working on Anchorman: The Legend Continues, the long-awaited sequel, he will be front and center in a number of new releases, including Bennett Miller's Foxcatcher, Jim Rash and Nat Faxon's The Way, Way Back and the animated Despicable Me 2. But before any of those movies make their way to theaters nationwide, we'll see Carell do some magic in The Incredible Burt Wonderstone. With the movie due out early next year, Warner Bros. has sent USA Today two images from the new comedy, which is directed by 30 Rock's Don Scardino. 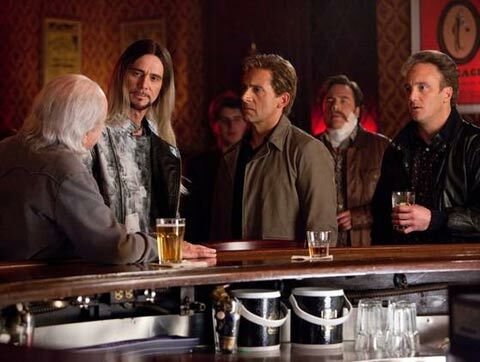 In addition to Carell, the stills also highlight the excellent supporting cast, which includes Jim Carrey, Steve Buscemi and Jay Mohr. Check out the images below and head over to the source to see them full size. 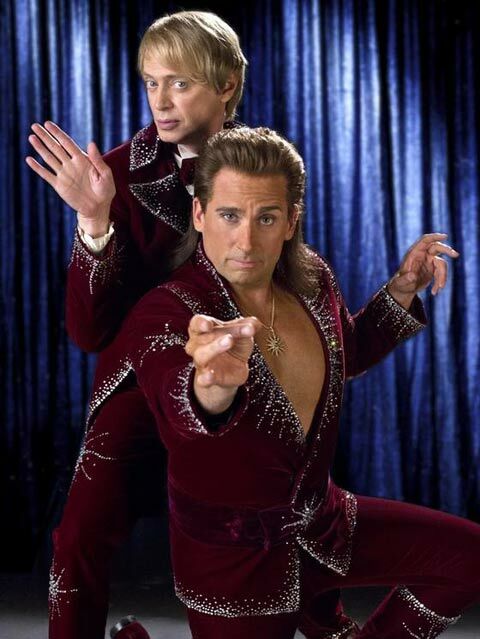 Based on a screenplay by John Francis Daley and Jonathan M. Goldstein (Horrible Bosses), The Incredible Burt Wonderstone centers on the titular magician (Carell) after he has a major fallout with his longtime stage partner (Buscemi). With his star already slowly fading, he learns that a new hip street magician (Carrey) is becoming popular and sending Burt into obscurity. So what else to do but fight for his spot on the Vegas strip? Olivia Wilde co-stars as Carell's beautiful assistant and the rest of the cast includes Alan Arkin, James Gandolfini, and Gillian Jacobs. The movie will be in theaters March 15, 2013 and you can find out more about it in our Blend Film Database.